You've never had it so good. It's a line, in Britain anyway, most commonly associated with former Prime Minister Harold Macmillan after he said something to that effect in 1957. But it's tempting to think similar about F1 in 2012. A lot was good about F1 in 2011: the 'overtaking problem', wherein races for the previous decade and a half or more offered very little of it, was cracked and then some, thanks to a combination of DRS and degrading Pirelli tyres. Races were definitely races again: they were invariably diverting and close, displaying much wheel-to-wheel action. Overtaking moves per race dwarfed the previous high tide water mark since records began in the early 1980s. But a relative drawback, in the entertainment stakes anyway, was that the same guy seemed to win every time. Sebastian Vettel claimed 11 wins from 19 rounds in 2011, including six from the first eight. But in 2012 you can scratch Vettel, or anyone else for that matter, winning every week. The entertaining races remain (and overtakes per race is even higher than last year), and we've had four different winners in the first four races, for the first time since 2003. And for the first time since 1983 the winners have come from four different teams. Indeed, things could have been even further away from the predicted than that. Sergio Perez's Sauber could, possibly should, have won the Malaysian round and thus given us possibly the most unlikely victor in F1 history, and Kimi Raikkonen had a similar near miss in Bahrain in his Lotus. And further winners outside the four who have won already can be expected this year. Neither Lewis Hamilton nor Mark Webber have entered the winner's circle yet, and neither has either Lotus pilot, and all of them look like they've got wins in them in 2012. And the competitive order has definitely tightened since last year. This is not only the case at the very sharp end, the entire midfield appears to have made a step forward, and only the three 'new' teams (though they're not so new now) are not close to the times at the top of the timing screens. Indeed, in the second qualifying session in China only two tenths of a second covered the top ten cars, and at the end of that race but 22.1 seconds separated Jenson Button in P2 and Felipe Massa in P13. And that gap was genuine, not artificially diminished by safety cars and the like. 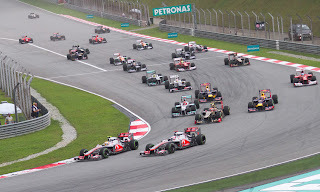 A chain of cars running in close order has been a common sight in 2012's races thus far. Yes dear reader, much is good about F1 in 2012, in a way that happens but occasionally in the sport's history. We'd better enjoy it while it lasts. So, how has this come to pass? As is usually the case, there most likely seems to be a variety of explanations. For one thing, the serious restriction of the exhaust blown diffuser has given those chasing and with fewer resources a timely boost. 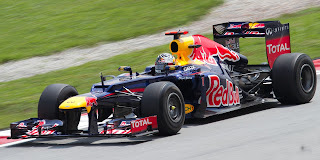 Exhaust blowing was a key development area of 2011, and was also a rather complex and expensive concept which helped the front runners disproportionately. And more specifically the restrictions have appeared to rein in the Red Bulls, 2011's pace-setters, especially. Designer Adrian Newey has admitted as much, that as the modern pioneers of the concept and having used it for longer than those around them they had the most to lose. Aside from this, there have not been major technical rule changes between last year and this, and rule stability is almost always good news for those behind. They have a steeper learning curve than do those with quicker cars, and can learn from the cars ahead what it is that makes them quick. And we seem to be seeing that in 2012. And within this there have been individual cases of teams doing good jobs. Mercedes, Lotus and Williams in particular have made conspicuous bounce backs from struggles in 2011 and previously. That much of the midfield have technical tie-ups with front runners has also no doubt helped things. Some have also looked towards the Pirelli tyres, and that they require gentle nursing to complete a race stint, as a reason why things have closed up and that 2012 results have been unpredictable, as the quicker cars are less able to stretch their legs as it were. 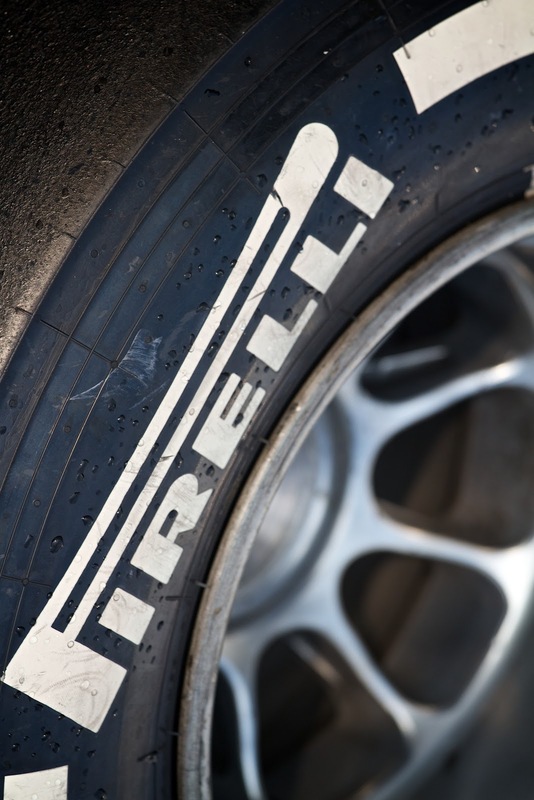 This may be part of it, but its overall impact is possibly overstated: as mentioned things are also close in qualifying, when tyre preservation is presuambly much less of an issue. But it can't be denied that the Pirellis have been as much of a high profile star of the F1 show this year as any of the drivers it seems. 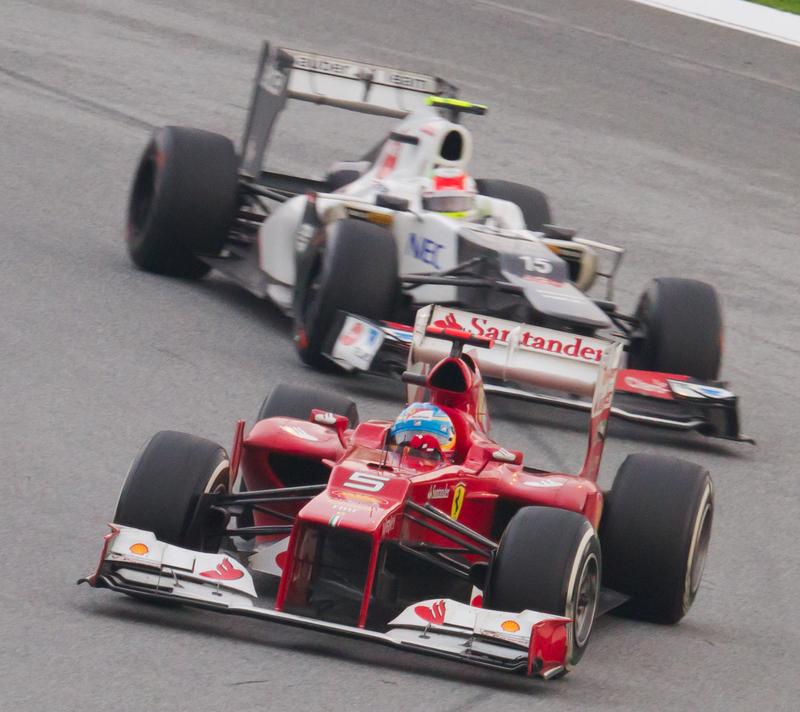 Some engineers reckon that in 2012 tyre management is even more critical than aerodynamics in determining race results. Pirelli promised that this season they'd take the tyres even more to the edge than last, and they've certainly done that with a range of even softer compounds. Paul Hembery has indicated that this year's medium compound is loosely based on last year's soft. And tyres have been critical certainly: fundamentally quick cars that can't make the tyres last (such as the Mercedes on most weekends) have been sitting ducks, while Lotus's saving of fresh tyres for race day in Bahrain was a crucial element of their cars being the quickest things out there on the Sunday. 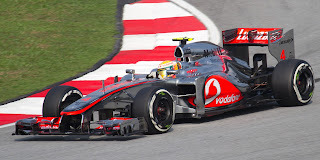 There have also been quirky manifestations of this knife-edge rubber, such as Jenson Button losing a lot of his pace in Malaysia after his tyres lost temperature from running at a reduced pace in traffic. There have been criticisms of this from some, that the tyres are having too much influence on race outcomes and their characteristics are turning races into too much of a lottery (most notably from Michael Schuamcher). They may have a point, but saying they're turning races on its head is overstating the case. As outlined, the order has closed up anyway and it's not like the HRTs are coming home first. Further, it can't be denied that the degrading tyres, with their resultant variation in pace throughout a race and between cars, have given us four diverting Sundays so far this year with plenty of overtaking. Yes, you could argue that it’s ‘not F1’ to ask the tyre supplier to make sub-standard product on purpose, but frankly that particular ship sailed long ago (see engine freezes, testing restrictions, grooved tyres etc etc). And in any case I'd much rather defend that point than defend boring races. So, what of 2012's competitive order? Given all that I have said, trying to pre-empt Grands Prix this year, let alone the championship as a whole, has been a mugs' game. Nevertheless, the McLaren has probably been the most consistently competitive car of 2012; that at least one of them has qualified on the front row in each of the four races so far (though Lewis Hamilton had to take a grid drop in China after a gearbox change) demonstrates this. And after the opening round, where they started the season on top for the first time in a long time, it appeared to be the firm favourite for this year's titles even then. Yet now, after only four rounds, both its drivers and the team trail in their respective championships. McLaren fans I talk to often say that with the Woking squad it seems always something goes wrong, and the evidence of this year is that view may not merely reflect paranoia. Botched pit stops have been the main problem (indeed, McLaren's pit stops on average are only the ninth quickest out of the 12 teams so far this year) and over above this there have been other problems, such as Lewis having to change a gearbox before the China round and Jenson Button having to retire in Bahrain (as well as the cars not always getting the most out of the Pirelli tyres in a race). Of course, human error can always happen, but the regularity with which it happens at McLaren makes you wonder if it reflects something fundamentally wrong with its operations. Compare it with Red Bull wherein it seems clangers are almost never dropped. But even with all of this, McLaren may still be the marginal favourite to come out of top this year - and it has the good news that Jenson Button has maintained his excellent 2011 form, and Lewis now looks to be back to something like his best. But you wonder if the team could live to regret not having made hay while the sun shone. Amazingly, it is Sebastian Vettel and Red Bull who are leading the championships. I say 'amazingly' as both were perceived to be having a difficult time of it this year, and some rather premature obituaries were written on both. But they leapfrogged back to where we're accustomed to seeing them in the fourth round at Bahrain, where Vettel took an unanticipated pole and win. Of course, it remains to be seen whether that was a one-off or reflective of Red Bull rediscovering its mojo, but my money's on the latter. It probably won't dominate like in 2011, but it's not going to be giving anything away to its rivals either. And on the evidence of the first four races Mark Webber will be giving Vettel, and everyone else, much more to think about this year. Mercedes finally got it right by claiming the marque's first win since 1955, and Nico Rosberg's first win ever, in China. Had you just watched just that race, in addition to pre-season testing and qualifying, you'd probably think the Mercs are the cars to beat this year. But while the W03 has been a bullet in qualifying, as well as the talk of the paddock with its myriad of innovative design solutions (in particular its DRS-enabled front wing 'f-duct'), it appears incredibly hit and miss in getting its tyres to last in a race stint. If it does this, as in China, then it can be unstoppable. But in the other three rounds the machine's been much less potent. Further wins in 2012 for Merc are likely, but the car's too-narrow operating window will preclude a championship charge unless things change quickly. Lotus has become 2012's dark horse, and not just because of its black paint job. After its disastrous 2011, the Enstone squad has bounced back and then some in 2012, rediscovering much of the swagger that brought it titles in the mid-noughties. The E20 was clearly a rapid machine from the moment it first turned a wheel in Jerez pre-season testing, though in the first three rounds we didn't see its full potential due to circumstances (driver errors, grid penalties and other problems). But in Bahrain we saw exactly what it could do: the drivers finished second and third, and seemed to be the fastest cars out there for the most part. And the driving line up has been a revelation, both F1 'returnees' Kimi Raikkonen and Romain Grosjean seizing their opportunities magnificently so far. Kimi looked just like the guy from his McLaren peak years in Bahrain and Grosjean like he really belongs in F1, and a million miles away from the gauche presence of 2009. And let's not forget that the Enstone team's record of in-year development is a good one; while it was a sitting duck in 2011 that was for peculiar reasons, and in 2010 and 2008 it out-developed probably everyone. 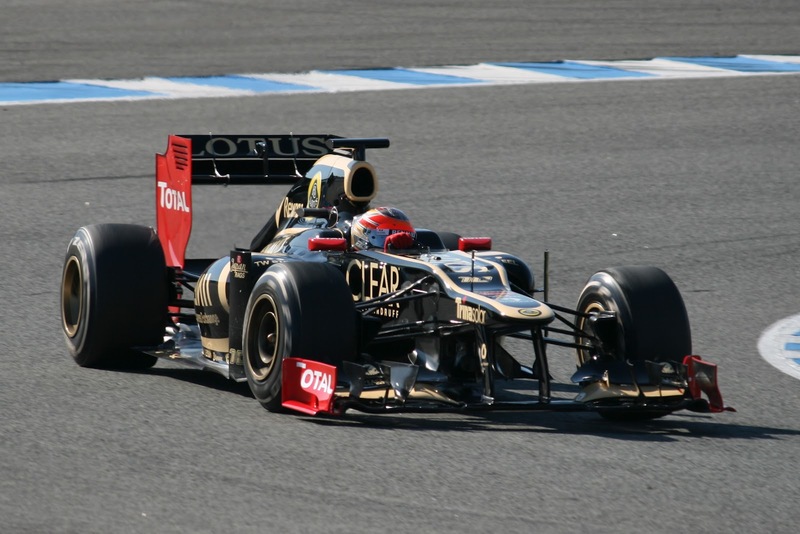 Wins for Lotus, maybe even a championship run, cannot be ruled out. Then there's Ferrari. The F2012 always had the look of a car that could go either way, and unfortunately for the Scuderia it's gone the bad way thus far. It's barely been quicker than the midfield runners all things being equal, looking unpredictable in its handling and rough on its tyres. Fernando Alonso's driving genius plus a competitive order in which no one has dominated has kept the team in the picture, and helped by a brilliant, opportunist win in the Malaysia rain the Spaniard is still only ten points from the top of the drivers' table. A fundamentally re-designed car is expected for the next round in Barcelona, and Ferrari's and Alonso's season hinges on whether that can get the team to the sharp end. If they can do that then watch Alonso go. Sit tight. All of this should add up to a classic season of F1.